Directed by Ivan Reitman. 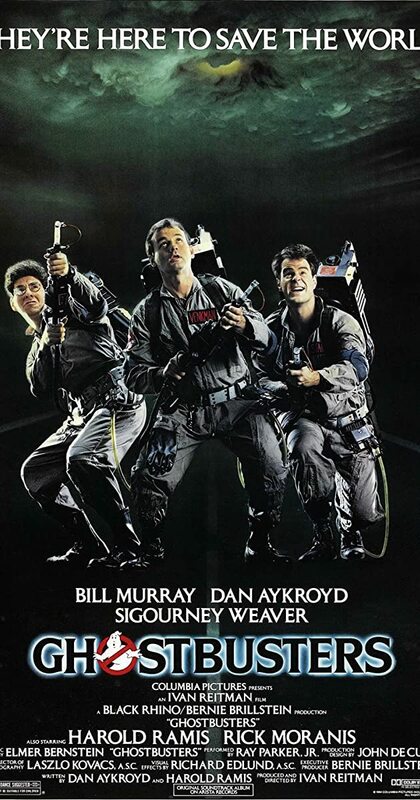 With Bill Murray, Dan Aykroyd, Sigourney Weaver, Harold Ramis. Three former parapsychology professors set up shop as a unique ghost removal service.